How would you go about a character revealing their trans identity in a time period piece? I was writing an urban fantasy set in 1927 about a diverse group of vampires, and I’ve been doing a lot of research on LGBT+ rights during the late 1920s, but I don’t know how to make the trans character reveal it about himself. 1. Character tells his love interest after a heated argument about the love interest’s sudden engagement to a woman overseas. I don’t really like this one as it seems too sudden. 3. The character lets it slip while he’s drunkenly reminiscing about his past on a balcony with his best friend. Even though I know he can trust his friend not to tell anybody, I don’t like this version because he’s doing while not in full control of his actions and he’ll probably be anxious when he sobers up. So, how would you go about revealing a character’s orientation during a period piece set in 1927? How do I write a trans coming-out scene in a respectful way? What changes if the scene takes place in a historical period? All the concerns you have about the scenarios you list would be no different if the book took place in the present day. They’re concerns about the scenario being respectful of the trans character (and, by extension, your trans readers). So let’s address that first. Do you need a coming-out scene? You asked how I would write this coming-out scene; it’s very possible that I wouldn’t. Queer and trans narratives are so often revelation narratives—that is, narratives from the non-queer non-trans point of view—that it’s easy to forget there’s a lot more to our lives than that. It sounds like your story is already well underway, but there’s still plenty of flexibility while you’re drafting it, so consider having no revelation scenes at all. That means no coming out, no being found out, no one guessing—the character is just trans, without the cis gaze being trained on their transness. This requires you to write trans experience rather than trans exposure, a radical mindset shift that can lead to much deeper and better characterization. It’s still quite possible for other characters to know this character is trans. They might have learned it before the book begins, or the character might have mentioned it in a matter-of-fact way (“When I was a little girl…”) and the people listening made silent note of it in an equally matter-of-fact way, or the character might be unmistakably trans. Non-passing trans characters are vanishingly rare in fiction, again because fiction tends to absorb cis perspectives even when written by trans people, and cis perspectives are very concerned with transness as a thing that is hidden and/or revealed, as well as with the ability to be mistaken for a cis person being treated as a marker of being really genuinely sincerely trans. Passing also requires conformity with a social ideal of a gender; in other words, your trans man might be very feminine at heart, but feel obligated to wear hypermasculine clothing in order to offset being female-assigned at birth. What if you did away with all of that and wrote your character as visibly, obviously trans, especially given a historical time period where there were few options for medical transition, binding was ad hoc, and so on? Do you really think your character’s love interest and best friend never noticed that he doesn’t have facial stubble, that his voice is high and his hands and feet are small, that his chest is large and his hips are notably wider than his waist? What if he goes by he/him but also sometimes wears dresses because he finds them comfortable and fun? What if they treat him as worthy of affection and respect anyway? What if all of that has been sorted out before the book begins, and your character can just get on with his undead trans life? Why is the character coming out? Like you, I prefer the second of your three scenarios, in which coming out is a voluntary demonstration of trust that’s done in a moment of conscious deliberation rather than strong emotion or intoxication. In the first scenario, it sounds like you might also be conflating the trans man with a woman, if the idea is that he’s saying, “If you like women so much, you should know that I am one, so won’t you dump her and stay with me?” In the third scenario, the intoxication takes away the character’s ability to consent to the method and manner and fact of the revelation. Give your character as much agency as possible, and have the choice of coming out meet a genuine need of his—in this case, the need for increased closeness with the people he spends a lot of time with. Don’t make it all about the people he comes out to; make it about him. To whom is the character coming out? If the character’s transness is being revealed to the reader, do that within the first few pages. I personally really dislike queerness and transness being treated like shocking surprises or spoilers; that comes from paranoid allo-cis-het fantasies of being fooled or tricked by evil queer and trans people. Don’t buy into that or enable it. Make your character clearly trans (at least from the reader’s perspective) from the beginning. You’ll be doing a service for your trans readers as well as letting anti-trans readers know right up front that this is not the book for them. If the character is coming out to other characters, you can choose to have them take it well or poorly. Always keep your trans readers in mind during these scenes, and come down on the side of characters taking it well. Maybe the characters are also trans and thrilled to meet a kindred spirit (there are other trans people in your story, right? If not, add some! We tend to find one another even when everyone is closeted or stealth). Maybe they guessed, so there’s no shock or surprise involved. Maybe they’ve heard of trans people before and the coming-out scene is not also an education scene; putting the poor trans character in the position of having to do trans 101 in the middle of his very stressful coming out is really hard on him and also centers cis people twice over. Again, the coming-out scene should be about the person coming out. Consider having your other characters drop hints that they’re the sorts of people to whom a trans person could safely come out. Another person in that circle of vampires talking affectionately about their gender-nonconforming cousin or their queer aunts can go a long way toward reassuring your trans character (and your reader) that coming out will go well. Many cis people push the boundaries of gender in one way or another; your character is more likely to want to come out to an effeminate man or a masculine woman. And trans and queer people are not always good to one another, but a queer person has higher odds of being a safe person to come out to. If you are not trans, I strongly urge you to avoid putting the character in danger due to being trans or coming out as trans. There are absolutely real and valid stories to be told about the difficulties of being trans in a cis-centric world, but in my opinion those stories are best told by trans people. There’s something tacky about even very well-meaning cis people making money off of trans pain, and there are so many clichés about trans misery that it’s hard to avoid bolstering them if you aren’t writing from your own experience. How is the character coming out? I’m a big fan of people writing letters about major revelations. The writer can choose their words, choose their timing, say everything they want to say without being interrupted, and perhaps include some resources (links in email, pamphlets or clippings in a paper letter, exact titles and authors of books to look up, that sort of thing). The recipient can take time to think and perhaps do some research before responding. A response in writing can be good too, for all the same reasons. The writer is in no physical danger when coming out, which is very important. A phone call or online chat can provide the same safety. Coming out in person is really hard and scary. If you can’t avoid it, make the scene feel safe for the character, so that coming out in that way makes sense. What is the character coming out as? This is where the setting really comes into play, as concepts of gender vary significantly throughout time and around the world. Before you write a trans character, make sure you understand their own concept of their own gender. They may or may not have childhood experiences of wanting to be gender nonconforming; they may have those experiences but not understand them until later, or may think of them as “goofing around” or “playing dress-up” rather than expressions of identity. They will certainly have touchpoints: gender nonconforming or trans people they’ve known or heard of, characters and caricatures in news and popular culture, and written works that they see themselves in or can interpret in ways that help them understand their gender. A deeply religious Christian trans character might fixate on “male and female created He them” to explain their own sense of being both male and female. 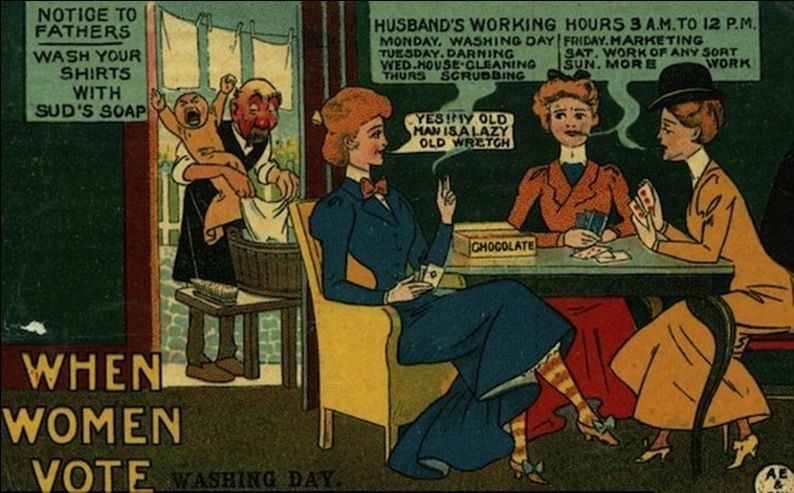 A character who grew up during the fight for women’s suffrage might be drawn to the political cartoons of men in aprons and women smoking cigarettes. Someone who’s encountered queerness but not transness may explore a queer identity first. Someone who’s encountered only binary identities may explore being binary trans before finding their own place outside the binary. Identity draws on culture and experience, so investigate the person’s culture and its understanding of gender, as well as their personal experiences of where the gender lines are drawn and the extent to which they’re enforced. Since your character is a vampire and might have first formed their identity hundreds of years ago, that will be significant, and could make for some very interesting characterization notes—maybe they have a particularly wide range of touchpoints from many different times and places. Where and when is the character coming out? The setting primarily matters insofar as it informs the character’s identity. In any time and place, some cis people will be accepting of gender nonconformity and others will not; some will respond with hatred or fear or anger and others will respond with love and compassion and understanding. It’s up to you to decide which attitudes your character encounters when coming out. Don’t worry too much about historical authenticity in that regard; our notions of what is “realistic” or “authentic” are often actually quite skewed, and reality is much more diverse and complicated than we tend to expect, especially when it comes to history. We must always remember that our understanding of the past has been filtered through several layers of other people’s biases and opinions. You serve your characters and readers best by challenging stereotypes and your own internalized biases rather than bowing to popular conceptions of realism. That said, if your character has touchpoints that the person they’re coming out to might also know, invoking those is a great way to anchor your scene in its time and place while emphasizing that your character is not uniquely weird and strange for being trans. Finally, it’s always good to work with a trans sensitivity reader. In your question, you conflated gender and orientation; that suggests to me that you’re hitting some pretty basic stumbling blocks. I have other posts that go into detail about hiring a sensitivity reader and writing outside your own experience. It sounds like you’re putting a lot of thought and care into this, which is terrific. Research is important, but there comes a time when you need to turn off your brain and open your heart. You may not always know what’s precisely historically authentic, but you’ll know when you’re being kind to your characters and your readers, and that’s what will carry a story like this through to the end. As an LGBT reader, I just wanted to thank you for the observation that there doesn’t need to be a coming-out scene. My bi-ness feels pretty mundane and ordinary to me, so the idea that it could be played as a shocking revelation feels…really incongruous.